Updated at the end of 2016, this playground has a huge amount of interesting equipment for lots of different ages, packed into a fairly small area. This makes it reasonably easy to keep a check on several kids that might be playing on different things. 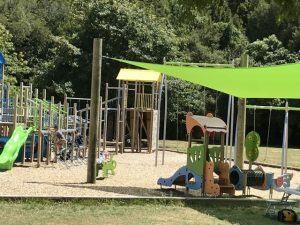 The playground is set to one side of huge playing fields, next to a section of bush and near to the car park, so with kids that might wander off, you’d need to make sure that you could see them at al times. The dominant feature of this playground is a huge course made up of bridges, tunnels, rope ladders, rock climbing walls, balancing buttons and slides. Most of it is quite high off the ground but to one side there are tunnels and a spinning naughts and crosses and a smaller slide. This is next to the dedicated preschoolers’ area that has a miniature slide, tunnel and rocker all under a shade sail. In addition to all of this, there are some fairly unique pieces of equipment in the form of a spinning metal ‘mega swing’ that works with two people counter balancing each other. Standing at 4.5m high, it’s recommended for 12 years + but people of all ages need to be careful in this area, as it spins round at quite a distance and speed! There’s also a 4 person seesaw that has a pinball as a centre piece and the operators need to work together to try to move the ball to their side. There are toilets to one side of the playing field. 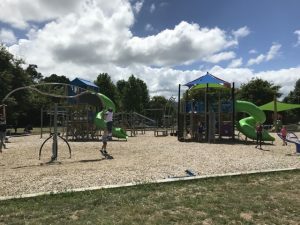 This playground is next to Barton’s Bush through which you can access the Hutt River path, making it a great place to stop if you’re cycling or walking along this track. Address: The playground can be accessed by car from the end of Holdsworth Ave or Brentwood Street, Trentham. There is free car parking just near the playground. 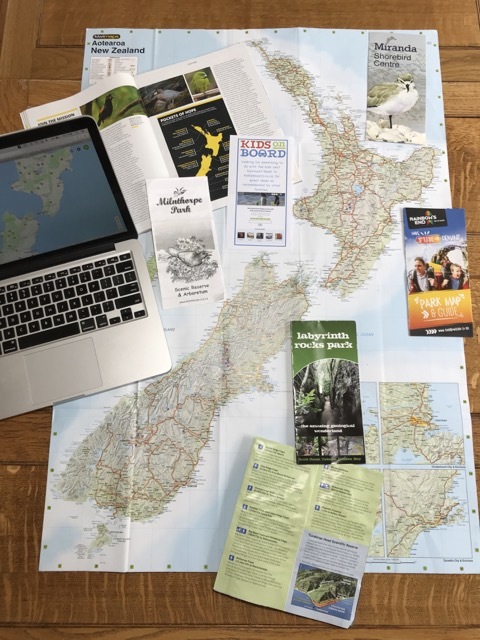 The Hutt River Path also passes very close by which is buggy, walking, scooting and cycling friendly.